Once again Carl has come to the rescue to help spice up the Silver Laughter website. Although I still have a few of the performance photos left from his first CD, a second one arrived in the mail today chock full of fun stuff which I will be sharing well into 2015! 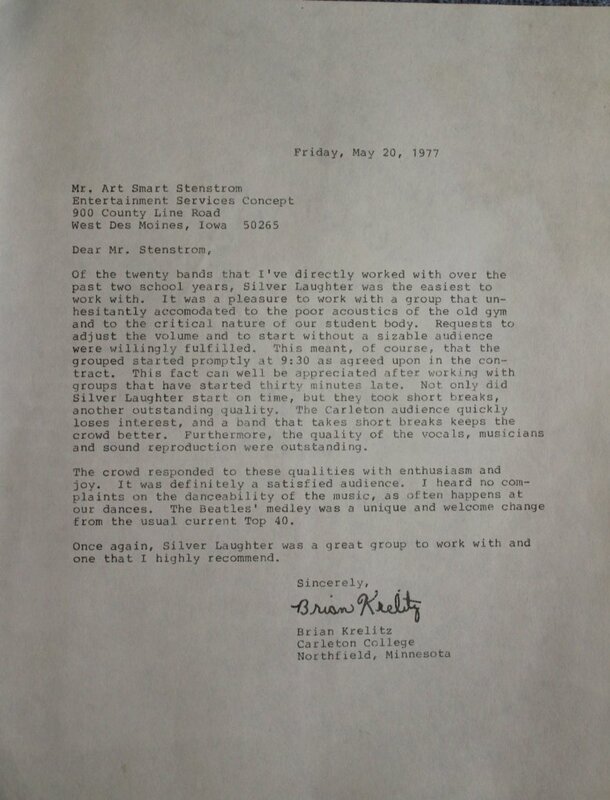 Just to let you know how we conducted ourselves and that we were professionals at all times, this letter came from one of the schools where we played; Carlton College in Northfield, MN. By 1977, the band’s lineup was Jon Ludtke, Ken Wiles, Paul Staack and Mick Orton.